Malware attacks continue to be a major threat to organizations and users around the world. The overall number of new unique malware attacks grew by 20 percent between 2009 and 2010, and continued to grow by 2 to 6 percent the following year. Yet even as malware attacks decline in frequency, they become increasingly sophisticated. These new threats exploit vulnerabilities in traditional Internet security, calling into question many security experts' assumptions about how to keep both government and corporate sites secure from invasive malware. 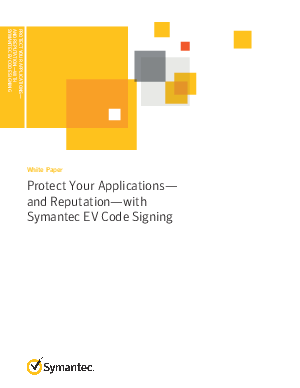 This whitepaper provides key background on the latest malware threats, explains why EV Code Signing Certificates represent the next step in advanced application security, and concludes with an example of the application of EV Code Signing Certificates.